The greatest mystery surrounding Sherlock Holmes comes to light–was he actually a woman? The master–or rather, mistress–of disguise finally puts pen to paper to reveal this decades-long deception and, in so doing, discovers another fact she kept secret even from herself. 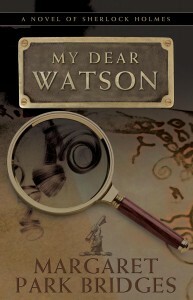 The complex mind of the brilliant consulting detective is finally opened to the public, in the chronicle of a new case never recorded by Dr. Watson and featuring Constance Moriarty, the beguiling daughter of Holmes infamous nemesis. See video of the author reading from her novel! ← Now What Can I Do?